A crisp sip of Pino Grigio, and then another just for good measure. A drizzle of olive oil and sprinkle of sea salt. A slice of just-charred bread piled high with earthy autumn flavours. And then the traffic, or the neighbours, or the kids, or the rain, come crashing into your lovely daydream to remind you that you are not in fact in Italy, and there are things to be done, thank you very much, and you best get back to real life. Sigh. So what is bringing on my overly dramatic daydreams today? I’m over at A Fresh Legacy guest posting while the lovely Kyrstie is holidaying on the Almafi Coast! Kyrstie is a Twitter friend who I’ve actually met in real life – imagine that. She lives down in Melbourne, has the most spectacular produce growing in her huge backyard garden, and was a supporter of Seasonal Sunday Lunch from the beginning. I think you’ll agree that an autumn inspired, Italian influenced, bruschetta is the perfect thing to share while she is away. 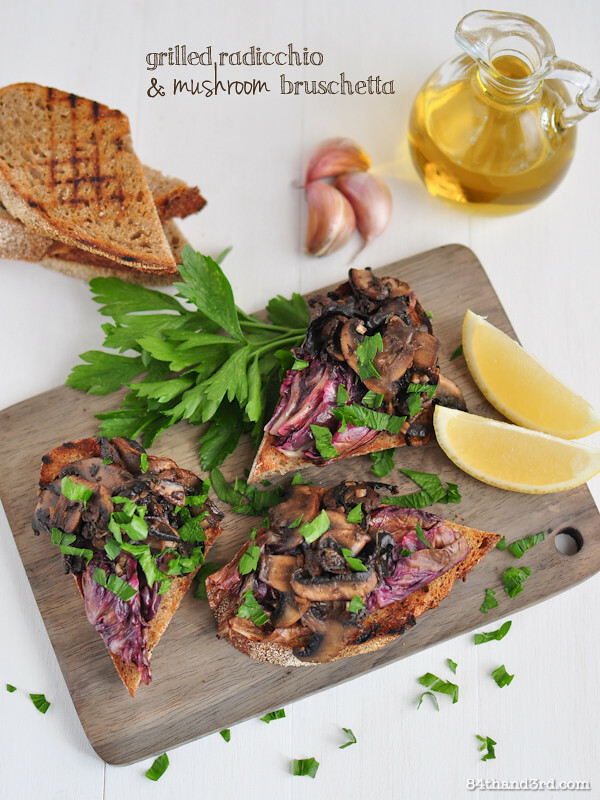 Make sure to pop over to A Fresh Legacy for the Grilled Radicchio & Garlic Mushroom Bruschetta recipe and say hi to Kyrstie. But before you go, tell me, if you could travel anywhere tomorrow where would it be? Me? The list never ends but Sicily is pretty high up there. I’ve traveled throughout Italy but haven’t made it to Sicily yet – sounds delightful, I’d be ready to hop on a plan tomorrow! Or I’d love to spend a few days relaxing on the Amalfi Coast in the sun. As for your bruschetta, it looks scrumptious. Perhaps one bite will transport me to Italy :). Thanks for popping by! Yeah, Canberra is about as far away as you can get! So I guess now is not the time to tell you I am currently travelling through the Baravian Alps en route to Paris? : ) I love radicchio in pretty much anything so am off to check out the recipe. You are so not helping Tania ;D Have a lovely trip! 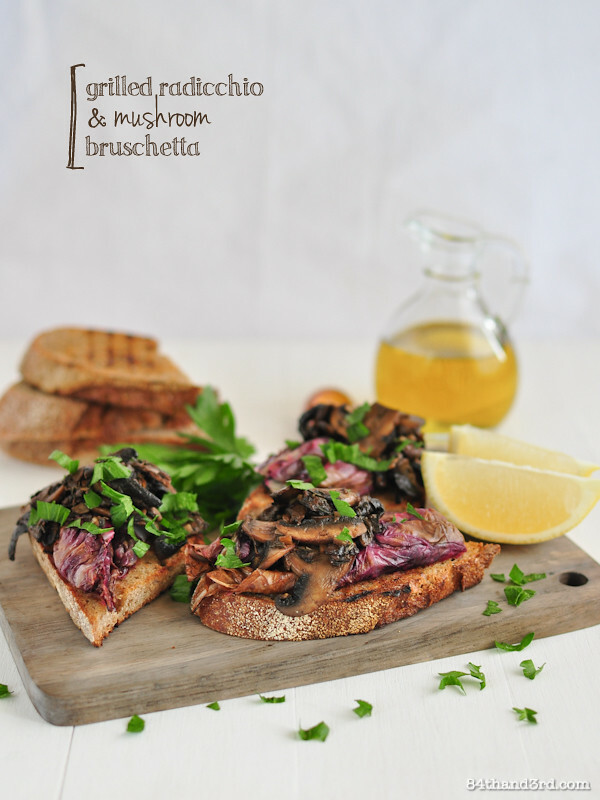 Yum – I love grilled mushrooms and radicchio has such a pleasing bitterness. As for where I’d want to go, I still have to yet to make it to Cuba. Definitely on my bucket list!